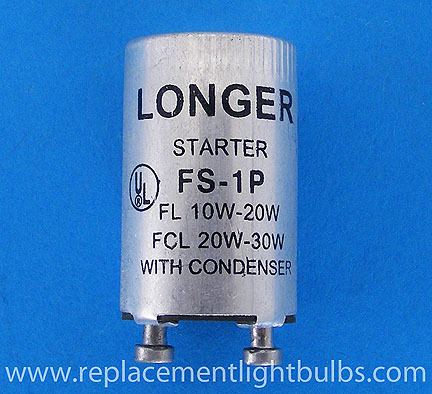 Lamp starter for linear fluorescent lamps that are between 10W and 20W and circular fluorescent lamps from 20W to 30W. Some equipment using the 4W, 6W and 8W lamps have been found with the HUL FS-1P 110v-120v FL 10-20W FCL20-30W with condenser. Usually you can use this FS-5 in these applications.